Today I had the pleasure of talking about the exciting potential for the next generation of Toilet technologies, to my colleagues at work. I work for a water and sewage treatment utility. Our current Toilets are connected to a grid in a way that is analogous to a landline telephone connected to copper wires, telephone exchanges and data centres. The toilets in my community, are dependent on a reliable water supply, sewer pumping stations and sewage treatment plants. The floods in Brisbane in January 2011 and the subsequent earthquake in Christchurch and the Tsunami in Japan, demonstrated the vulnerability of these systems. My ambition (which is shared by many others) is to see the development of the next generation of toilet which are "off the grid". The imperative is providing services for 2.6 billion people in developing communities, who lack a sustainable place to poo, wee and/or change sanitary pads. In the developed world, the cost of living pressures, the cost of water, electricity and the cost of running sewer networks and sewage treatment treatment plants are all on the radar. 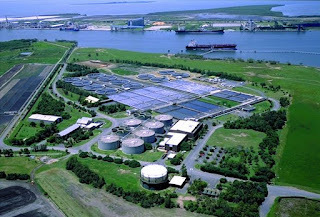 The regulating authorities in the Qld State Government have capped the price one can charge for water and sewage treatment. The price of raw water is under review. All indications are, that Water Authorities are going to be under significant political pressure to reduce the cost of delivery of services. Climate change, peak oil, peak phosphorus are all driving the need for change, to reduce the energy intensity of water and sewage treatment services and recover energy, nutrients and/or water from the process. There arises a need for a next generation of toilets. Yet the toilet is really just a user interface. We need a whole new "back end" to the process. The first distinction between 1.0 series toilets and the 2.0 series is the separation of one's Number Ones from one's Number twos. One person's urine contains enough nutrients to grow enough cereal to feed one person. In my community, our number twos are not nearly as interesting (or valuable). We tend to eat too much processed food. However, the poo from a Vegetarian could be highly valuable. The dry solids can be combusted, digested or under go pyrolysis to generate electricity, heat, light, gas or compost. 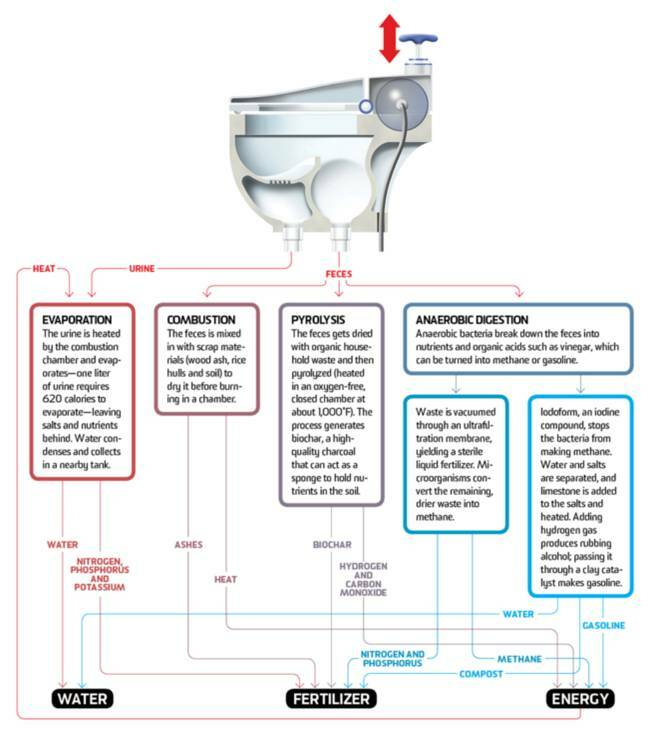 The process engineering aspects of Toilet 2.0 are really very straight forward. The complexity lies in the social engineering. Some of the greatest resistance to change comes from within the water/sewage treatment industry. Today I had the opportunity to make a case for change. I was hoping someone would say: "It cannot be done!". I was hoping someone might say: " You're crazy!" However, the questions and discussions were actually intelligent and provocative. There maybe some who want to work on intermediate technologies. Perhaps there is still a need for Toilet 1.1. My ambitions are still quite modest. Toilet 2.0 is not a silver bullet. 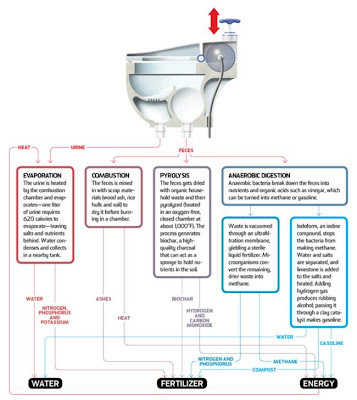 Toilet 2.0 is the next generation of toilets. It is time to get Toilet 2.0 out of the laboratories and into your lavatories.